SHE HAS HAD SEVERE STIFLE (KNEE) ARTHRITIS AND CONVENTIONAL MEDICINE NO LONGER HAD ANYTHING MORE IT COULD OFFER HER. SHE DID REALLY WELL ON ACUPUNCTURE. 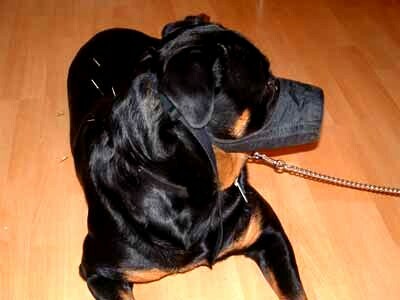 AND DESPITE THE MUZZLE (SAFETY FIRST), SHE WAS QUITE CONTENT TO HAVE NEEDLES INSERTED. NOTE THE ACUPUNCTURE NEEDLES IN HER BACK.